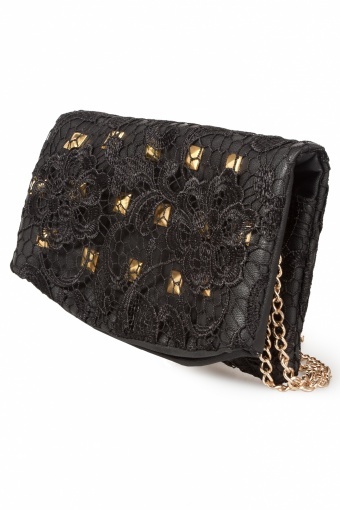 Elegant Black Lace and Studs evening bag by From Paris With Love! 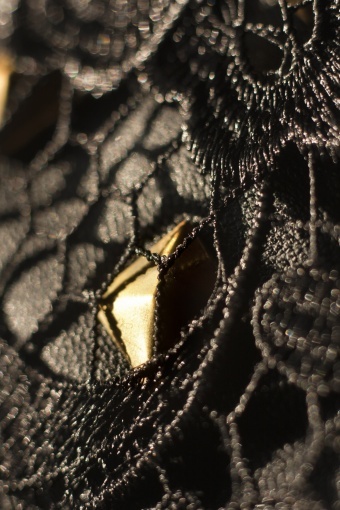 in black faux leather and beautiful black lace. 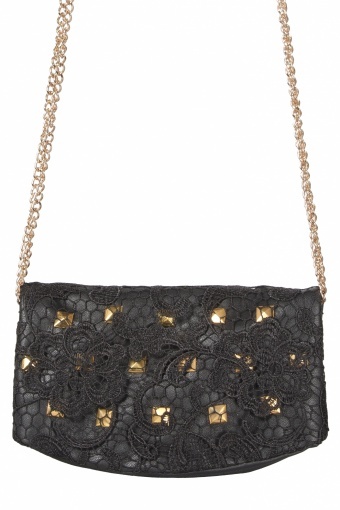 Very special folded model with double gold tone chain so you can also wear it as a shoulder purse. 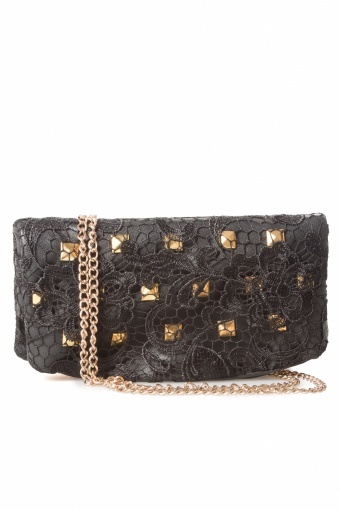 With gold tone square studs on the front. 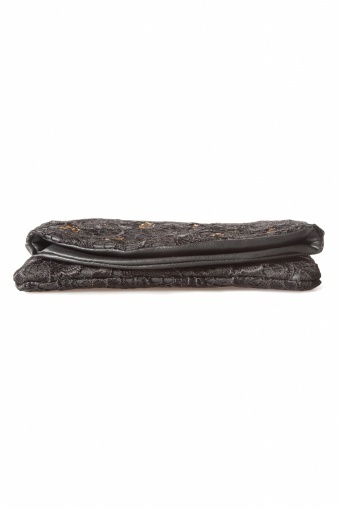 One side pocket with magnetic closure on the outside, where you could store the chain if used as a clutch. The inside has a firm lining in pretty pink, two little side pockets and a zipper compartment. Very partyproof! T-shirtje en tas besteld en de dag erna kon ik ze thuis al passen en bewonderen! Echt SUPER!